Is this self propelled stroller the world's most intelligent pram? Is this self propelled stroller the world’s most intelligent pram? It’s self propelled, automatically rocks and folds, it even has a built-in bottle warmer – all controlled from your smartphone or smartwatch. And it’s not the stuff of pipe-dreams. 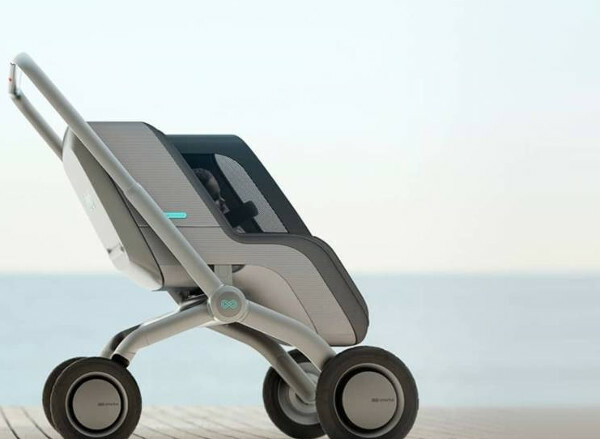 This high-tech stroller could be hitting the market very soon. There are a few companies that have tried to hoodwink parents into believing they’re working on a self-driving pram, we also had a little fun with this concept on April Fool’s Day last year! But we are assured that the Smartbe, which is currently seeking financial support on Indiegogo, is genuine. Expensive, but genuine. Smartbe boasts some incredible specs, including the ability to self propel as the carer either walks or runs behind it. The electric engine (yes, engine) also makes going uphill a breeze. It has more than 10 functions that can be controlled via Android and IOS smartphones and watches, as well as a stroller smorgasbord of bells and whistles. Things like built-in music, cameras, retractable canopies – and the carrycot is climate controlled. Smartbe assures that its stroller will be safe as houses, and that it meets all US and European safety regulations. 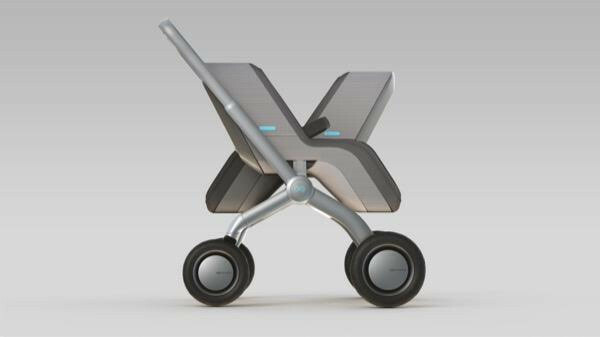 Now here’s the kicker – the Smartbe stroller will retail for close to US$3000 for a self-propelled model. The version without the self-driving ability can be snapped up as part of the crowd-funding campaign for US$399. Smartbe’s Chief Financial Officer Mark Ramondt says there’s no getting around the hefty price-tag. “Think of it as a first. Having new technology is expensive at first. I think in the US a Tesla will run you about $80,000. Think of the first iPhones – they were expensive,” he tells TODAY. Ramondt has also assured that the stroller’s security features should allay any fears parents have about the self-propelled pram going for a solo jaunt. It can be controller using buttons on the stroller, in case your phone is lost or stolen. The crowd-funding campaign is looking to raise US$80,000 over the next month to try and get the Smartbe into production.